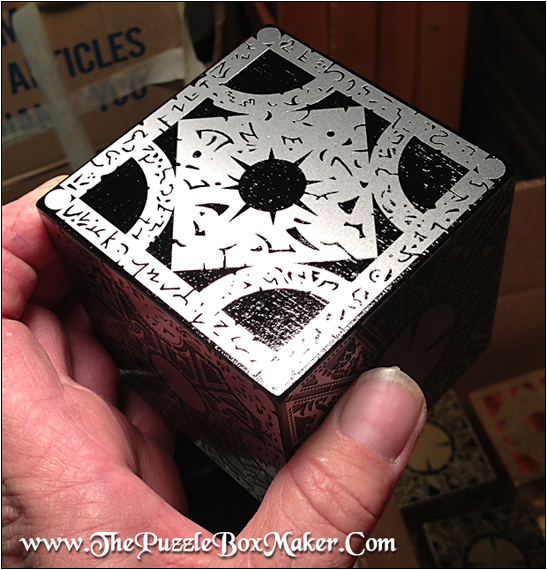 The All Black Stainless Steel Hellraiser Puzzle Box is exactly like the original, being made of solid mahogany but it is all black with etched Stainless Steel plates. 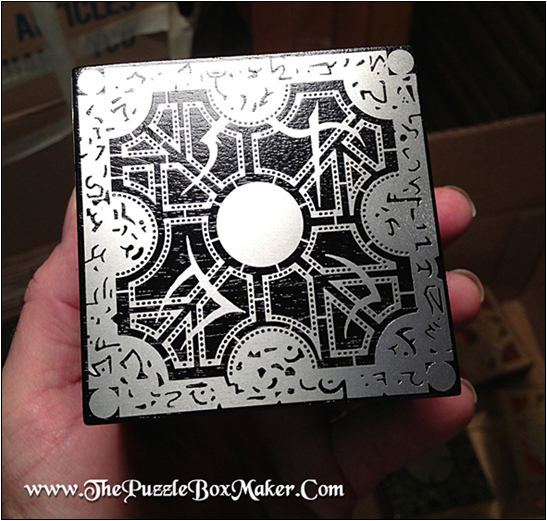 A beautiful box indeed! 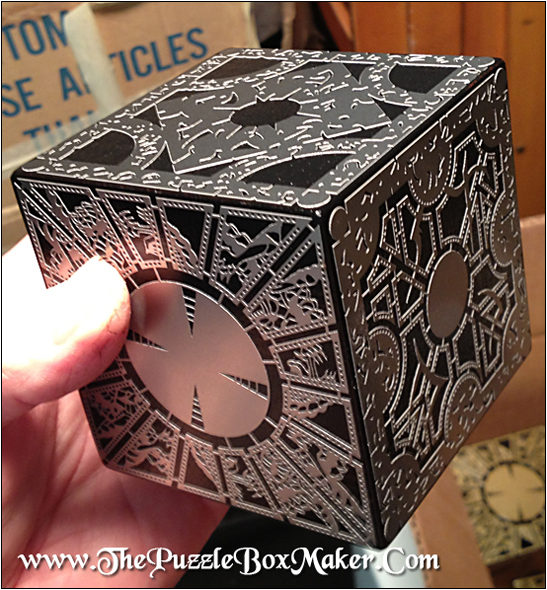 The panels are based on the boxes used in the Hellraiser 1 and Hellraiser 2 which were designed by Simon Sayce, the original designer of the boxes. 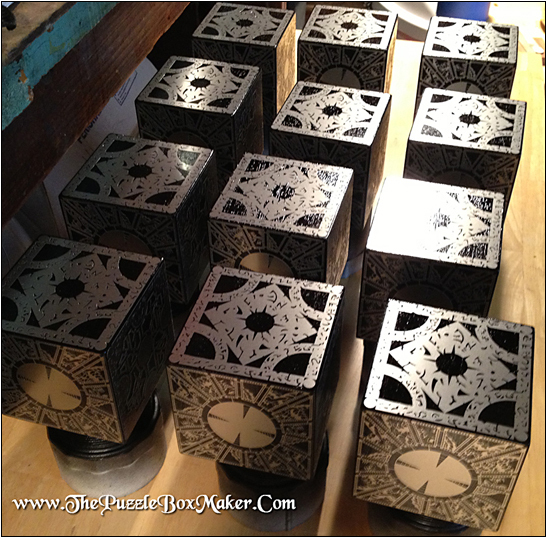 The panels are etched at a professional etching house to assure detail and quality panels. 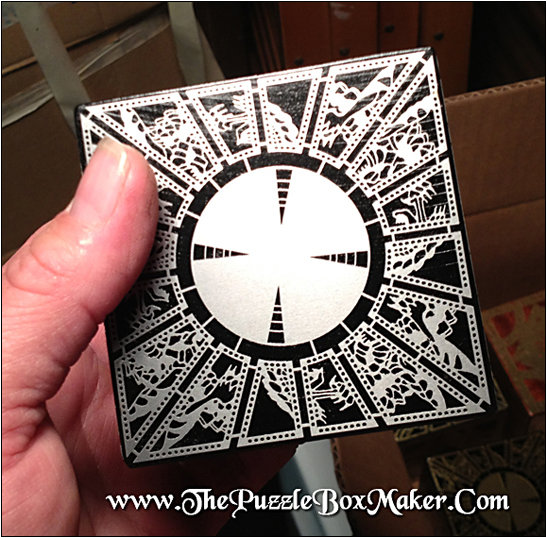 The pattern on the faces are .005″ etched Stainless Steel. LIMITED SUPPLY, Get one while they last!